Dave Pompei, Central Power Plant foreperson, checks one of three chillers the university owns. Wesleyan is being aggressive in its energy conservation efforts. Pictured at right is a view inside one of Wesleyan’s three boilers. Wesleyan will be installing a new cogeneration system that will replace the use of one boiler in the summer. Wesleyan is pulling the plug on high energy usage. Something as simple as unplugging the office coffee machines for the weekend can save Wesleyan thousands of dollars a year, says Peter Staye, associate director of utilities management in Physical Plant. Although the burners are off, most coffee machines continue to heat the water left in the reservoir 24-hours a day. Staye ran his own experiment with Physical Plants coffee maker and measured the amount of electricity used in a one-day period. What he discovered is that 1 percent of all energy consumption campus-wide is used by coffee machines. Of course this is just a tiny component of Wesleyans $3.03 million dollar annual electric bill. The bulk of this usage is from heating and cooling the campus. Lighting is the second largest consumer of energy, and sadly, wasted energy is third. If Wesleyan employees and students would remember to turn the lights out and their computer monitors off when theyre not using them, and turn down the AC over the weekend, Wesleyan could save 15 percent of its electricity use, Staye says. Staye and the Physical Plant staff are already hard at work with preventive conservation measures. This summer, Physical Plant will replace the Center for the Arts offices incandescent spot lights with fluorescent lights, saving $7,085 a year. They will also replace the lighting in the Center for the Arts Theater, saving $44,380 a year, and the lighting in the Music Studios, saving $88,271 a year. The entire replacement will cost $120,000, and will pay for itself in savings the first year. Over the last three years, the university has been able to keep its electrical consumption almost flat, even though new air-conditioned buildings have been brought on-line. “This is a trend we work hard at continuing, though it is getting harder and harder each year to keep the peak from increasing,” Staye says. Not only does all this save the university money, the State of Connecticut is counting on Wesleyan to continue with its efforts. The state, which is already importing energy from New York and Maine, cannot support the summertime power demand needed by Connecticuts 3.5 million residents. The states power grid, which moves power around, is also old and undersized. In fact, the Connecticut Department of Public Utility is offering Wesleyan a $1.3 million rebate to install a Cogeneration system, known as CoGen. GoGen is the use of a single fuel source, such as natural gas, to simultaneously generate both electricity and heat. Heat produced from generating electricity is captured and used to produce steam and hot water to be used as a heat source in dorms and other campus buildings. Conventional power plants emit the heat created as a by-product in to the environment. The cogeneration system or would cost $1.7 million after rebates; however it will save about $500,000 a year in energy costs. 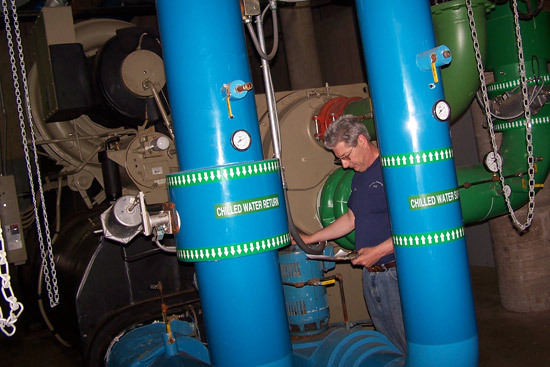 The Central Power Plant currently uses large boilers and coolants to service the heating and cooling needs of the 90 largest buildings on campus, and the cogeneration system will work in parallel with that equipment. If there is a good side to the deregulation of the electrical industry, Staye says, it is that cogeneration systems have become a lot more cost effective. The CoGen equipment, which was approved in May, takes 18 months to install, and it will be active in January 2008. The following is President Douglas J. Bennet’s 174th Commencement Remarks presented during Commencement Ceremonies May 28. A video clip of President Bennet’s speech can be found at: http://condor.wesleyan.edu/openmedia/ur-media/video/comm_06/PresRemarks.mov. First, let me echo enthusiastically Jim Dresser and Pacho Carrenos welcome to you, and thanks to your families and the faculty. I really thought that Pacho captured all my hopes for Wesleyan in his powerful statement. This is Jims first commencement as chair of the Wesleyan board of trustees, and we particularly welcome him to this platform. Second, let me point out that todays commencement coincides with the 175th anniversary of Wesleyans charter, which was granted on May 26, 1831, so this year we celebrate our septaquintaquinquecentennial. In this anniversary year we will study Wesleyan history with renewed attention. It is a history that goes back to the early years of the Republic. It is a history of consistent educational purpose and of successful renewal to meet changing times. It is a history both of privilege and of commitment to social good. In recent decades we have broadened our commitment to access and to racial equality, recognizing that these are still uphill battles in America. It is a great honor to be able, in just few minutes, to yield back the balance of my time to a person who has kept the reality of racism in America before us throughout his scholarly and personal life. Let me just conclude with a word to the class of 2006. You represent over 700 individual scholarly and personal outcomesaccomplishments of imagination, inspiration, perspiration, obsession, focus, sportsmanship, passion and intellect. At the same time, your engagement with each others points of view and backgrounds, has allowed you to think and rethink who you are and who you want to be. Our small global university nurtures an environment in which encounters with each other, between disciplines and points of view, let us learn from each other. You care a lot about other people, and you have shown that you will be part of the solutions. I know this because of your responses to Katrina, to the Indian Ocean tsunami, to the genocide in Darfur, and to your Middletown neighbors. Where existing institutions seem not to be getting the job done, you have created new not-for-profit organizations to foster everything form micro-credit in Nepal to nonpartisan debate on global issues in America. Theres something special and powerful about a Wesleyan education. You have contributed mightily to it. I am confident that you embody Wesleyans strengths and its commitments. Keep up the great work. Stay in touch as we turn the corner toward our bicentennial. We will miss you very much. Congratulations to you, the class of 2006. Edgar F. Beckham was Wesleyan’s first African-American dean of the college. In 1991 he received Wesleyan’s Raymond E. Baldwin Medal for service. Edgar F. Beckham, one of the nation’s most influential and beloved leaders in higher education, died Wednesday in Middletown at the age of 72. He was a resident of North Haven. As the first African-American dean of the college at Wesleyan University, Beckham led efforts to build understanding that diversity is integral to excellence in American education. While he served as dean, Wesleyan University became a national model for excellence in education for students of diverse backgrounds. Beckham also served as the chair of the Connecticut Board of Education, working to bring the lessons learned at Wesleyan to the public schools of Connecticut. In the 1990s, he headed one of the most far-reaching and effective change efforts ever launched in higher education: the Ford Foundation’s Campus Diversity Initiative. Then in 1998, he joined the Association of American Colleges and Universities (AAC&U) as a senior fellow, where he continued to guide colleges and universities throughout the United States on matters of educational quality. Beckham’s civic contributions were many. In addition to his service to Connecticut education, he served as chair of the boards of Middlesex Hospital, the Donna Wood Foundation, and the Connecticut Humanities Council. He also served as a trustee to the Connecticut Housing Authority, Mount Holyoke College, Vermont Academy, Connecticut Public Broadcasting and the Association of International Educators. Beckham was honored with numerous awards. In 1997 he received the Outstanding Contribution to Higher Education Award from the National Association of Student Personnel Administrators. In 1991 he received Wesleyan’s Raymond E. Baldwin Medal, awarded for extraordinary service to Wesleyan and to the public good. In 1996, he was named Dean of the College Emeritus, and in 1998 the Wesleyan Alumni Association honored him with its Distinguished Service Award. Beckham received the honorary degree of Doctor of Humane Letters in 1997 from Olivet College and in 2000 from Clark University. Edgar Beckham was born August 5, 1933 in Hartford, Conn., the son of Willabelle Hollinshed and Walter Henry Beckham. He grew up in a diverse neighborhood in Hartford and attended Weaver High School. In 1951, Beckham enrolled at Wesleyan University, the recipient of the Lewis Fox Scholarship for his outstanding academic record at Weaver High School, and of several other named scholarships. He pursued a pre-med course of study, and was editor-in-chief of the Argus, Wesleyan’s student newspaper, a member of the choir, and a fraternity member of Delta Sigma. Between his junior and senior years at Wesleyan, he served for three years in the U.S. Army in Germany where he trained as a neuropsychiatric technician. He graduated from Wesleyan University in 1958 with a bachelor’s degree in German. That same year, he married Ria Haertl of Stuttgart, Germany. Beckham also taught Freshman Humanities and courses in African-American studies at Wesleyan. While at Wesleyan, Beckham was the coordinator of Explorations in the Black Experience, an experimental high school course in black history designed and taught by Wesleyan undergraduates. He was also coordinator of studies for Wesleyan Upward Bound, an anti-poverty program for high school students. Beckham spent the 1966-1967 academic year abroad in Germany where he taught English language and African-American history and literature at the University of Erlangen-Nuremberg. He also lectured extensively at America Houses throughout the Federal Republic of Germany on the state of civil rights and racial consciousness in the United States. In the fall of 1990, Beckham accepted a position as program officer for the Ford Foundation’s Education and Culture Program. In this capacity, he affected the curriculum and co-curricular activities at hundreds of American college campuses. He organized international seminars on campus diversity in India, South Africa, and the United States, and he wrote and edited materials for the three volumes of essays based on the seminars. Beckham’s singular contributions to the Foundation’s work on access, diversity as an educational asset, and multicultural education earned him the unprecedented title of Senior Program Officer. “Edgar was the philosopher-king and the moral conscience of the Education and Culture Program,” said Alison R. Bernstein, a current vice president of the Foundation who worked closely with him. Beckham is survived by his wife, Ria; son Frederick and daughter-in-law Julie; a sister, Ruth Beckham Holloman; a brother, William Beckham; a niece, Merle Holloman; and a nephew, Wendell Holloman. A service was held May 30 at Wesleyan University’s Memorial Chapel. Two-hundred-and-fifty-eight Wesleyan students were the recipients of 145 awards during the Academic Awards and Prizes Reception at the Russell House May 9. Thirty-three of these students received more than one award. The graduating class of 2006 had 175 recipients, the class of 2007 had 78 recipients, the class of 2008 had 24 recipients, and the class of 2009 had 12 recipients. Ten graduate students, eight alumni, two organizations, one visiting international student and one Graduate Liberal Studies Program student also received honors. “These students represent the highest ideals of Wesleyan University ― intellectual curiosity, academic excellence, creative expression, leadership and service,” says Maria Cruz-Saco, dean of the college. While celebrating these recipients of awards, prizes, and scholarships, Cruz Saco also honored alumni and friends for their contributions and gifts. Awarded for excellence in analytical chemistry. Awarded for outstanding achievement to a graduating chemistry major. The gift of Daniel Ayres, Class of 1842, to the first-year student who attains the highest academic standing in the first semester. A grant for one academic year’s study at a university in the German state of Baden-Wüerttemberg, administered by the Connecticut Department of Higher Education. Established in 1952 by family and friends of Horace Reed Baldwin, Class of 1947, and awarded annually for study at law school to the member of the senior class who, in the opinion of the committee, shows the most promise of becoming an outstanding lawyer and public-spirited citizen. Established in memory of Bernard T. Bertman, associate professor of physics, by gifts from his colleagues, family, and friends, in 1970. Awarded to a senior majoring in physics who displays a particularly resourceful and creative approach to physics research. Income from the John C. Blankenagel Fund, established in 1970, awarded at the discretion of the Department of German studies to enrich educational offerings in the area of humanistic studies, or to assist a superior student in completing a project in German studies. The gift of Stanley David Wilson, Class of 1909, in memory of Professor Walker Parke Bradley, to the senior or junior who excels in chemistry and particularly in special original work. Awarded to an individual student or student group for significant contributions to the Wesleyan and Middletown communities in the spirit of service. Established in 1900 by the gift of James E. Briggs, to the student who has done the most effective work in intercollegiate debating. Established in memory of Christopher Brodigan, a Wesleyan student who died in an accident in his frosh year. The fund pays tribute to Christopher’s deep interest in Africa and to the public service he provided through teaching in Botswana prior to entering Wesleyan. Awarded to graduating seniors and recent graduates who plan to pursue public service or research in Africa. Established in 2002 by Ann duCille in honor of Professor Erness Bright Brody, former chair of the African American Studies Program. Awarded annually to a senior African American Studies Program major for excellence in written expression. The gift of William Evans Bruner, Class of 1888, to the student whose second-semester first-year record shows the greatest relative improvement over that of the first semester. Established in 1991 in honor of retiring colleague Jeffrey D. Butler, is awarded for the best Honors thesis in Third World History. Established in 1905 by the Board of Trustees in memory of Samuel T. Camp, trustee 1880-1903. Awarded for excellence in English literature. Awarded to the member of the WSA who has given honor to his/her post on the WSA or one of its committees through his/her leadership, and has selflessly served the greater interest of the Wesleyan student body. Established in memory of John Blanchard Clark by his parents, Mr. and Mrs. Donald L. Clark of Pittsford, New York; his sister, Catherine; relatives; and friends. Awarded annually to a qualified graduating senior of Wesleyan University for graduate study in a school of medicine. Recipients are judged by members of the Health Professions Panel on their potential for outstanding achievement and for their promise of community leadership and public-spirited citizenship and for their scholastic record at Wesleyan. Established by friends and associates of Gilbert Harrison Clee, Class of 1935, late president of the Board of Trustees. Awarded annually to a member of the sophomore class, who will remain a Clee Scholar throughout his or her junior and senior years, who will have demonstrated high standards of leadership, a deep commitment to Wesleyan University, an interest in the broad implications of multinational business enterprises, a sensitivity to the need for a creative balance between the public and private sectors, and an intention to pursue a career in business. A specific objective will be to select individuals who exemplify the qualities that characterized Gilbert Harrison Clee as a humane person and as a leader. Established in 1991 by George Thornton, Class of 1991 and David Derryck, Class of 1993, for the African American student who has achieved academic excellence in biology and/or molecular biology and biochemistry. This student must have completed his or her sophomore year and in that time have exemplified those qualities of character, leadership, and concern for the Wesleyan community as shown by Dr. Neil Clendeninn, Class of 1971. Established through the gift of George Henry Walker, Class of 1981, in the memory of Charles Edward Cole. Awarded to the first-year student who shows the greatest ability in fiction or nonfiction writing. Established in 1993 by the Connecticut Department of Higher Education to promote community service leadership and activities by students at Connecticut’s institutions of higher education. This award recognizes outstanding student contributions to the promotion of community service through projects that increase student participation in their college community and projects that develop a unique approach to effective community service. Given in 1980 by Mabel Wells Connelly in the name of her husband, member of the Class of 1909, and alumni secretary, 1924-56. Supplemented by friends, relatives, and sons Hugh Wells and Theodore Sample, Class of 1948, the fund provides income to be awarded annually to a deserving undergraduate who demonstrates an interest in English literature and an unusual ability in nonfiction writing. Awarded by the Department of Sociology to a student of overall academic excellence who lives and works in the spirit of Anna Julia Cooper (1858-1964), author of A Voice From the South, who was one of the most important social theorists in the tradition of Black feminist thought. She lived and worked courageously against the odds of exclusion, never failing to hold to the highest standards of moral and intellectual excellence. Awarded to an outstanding first-year chemistry student, based on grades in organic chemistry over the interval of the current academic year. Established in 1948 by the gift of Ernest W. Davenport in honor of his brother, Frederick Morgan Davenport, Class of 1889, for excellence shown by seniors in the field of government and politics. Established through the gift of Daniel Dorchester, Class of 1874. Awarded for the best thesis submitted to the English Department. Awarded annually for academic excellence to a student majoring in African American studies. Established by gift of Arthur A. Vanderbilt, Class of 1910, in honor of Professor George Matthew Dutcher, for highest excellence in the Department of History. Awarded to the graduating College of Letters senior who best exemplifies the intellectual curiosity and range, the pleasure in colloquy, the capacity for admiration and skepticism, and the moral seriousness and love of books that we honored in our late colleague Kevin Echart and seek to foster in the students of the College of Letters. Awarded to the coordinator(s) of an exceptional program, cultural event, speaker or production that has had positive campus-wide impact. Awarded to the graduating MB&B student who has contributed the most to the interests and character of the Molecular Biology and Biochemistry Department. Awarded to a first-year student who has demonstrated outstanding leadership or involvement in the Wesleyan community. Awarded annually to the student (or students) who has done the most distinguished work in the elementary and intermediate French language sequence. Established in 1975 by Mansfield Freeman, Class of 1916. Awarded annually to a senior for excellence in East Asian studies. One-year assistantship for teaching English at a lycée in France, administered by the Institute for International Education (New York). This prize recognizes work of outstanding achievement by a student in the history of art. The prize is awarded to a member of the senior class. These grants are funded by the United States government under the Mutual Educational and Cultural Exchange Act of 1961 (Fulbright-Hays Act) and by many foreign countries. The grants, administered by the Institute for International Education, provide for one year of study at a university abroad. Donated by the Wesleyan Gay and Lesbian Alumni Association (GALA), this prize is awarded annually to that undergraduate who has done the best research and writing on a subject in gay, lesbian, and sexuality studies. A one year teaching apprenticeship in Germany. Established in 1912 by a gift of Mrs. Charles Mortimer Giffin, in memory of her husband, an honorary graduate of the Class of 1875. Awarded for excellence in the Department of Religion. Awarded to the graduating film studies major who has written the best full-length screenplay in the Department of Film Studies. Awarded by the Barry M. Goldwater Scholarship and Excellence in Education Foundation to a junior or senior who has outstanding potential and intends to pursue a career in mathematics, the natural sciences, or engineering. The gift of James Chandler Graham, Class of 1890, awarded to a member of the graduating class for excellence in natural science. Awarded in honor of Connecticut filmmakers Ellsworth Grant and Roy Wilcox to the senior whose work in film and video best addresses significant environmental, social, or artistic issues. Established by friends and associates of Burton C. Hallowell, Class of 1936, former professor of economics and executive vice president of the University. Awarded annually to an outstanding senior in the study of social science, as determined by the governing board of the Public Affairs Center. Awarded annually by the Mystical Seven Society to a Wesleyan undergraduate who has distinguished herself/himself in public service to the community. The gift of Philip B. Hawk, Class of 1898, as a memorial to his wife, Gladys, to the students who have done the most effective work in biochemistry. Awarded annually to the graduating senior who best exemplifies the goals of Wesleyan’s Health Education Program, which are the promotion of healthy lifestyles and disease prevention. The student who is chosen for this prize has demonstrated commitment not only to his or her personal well-being but has also served as a role model to peers in the Wesleyan community and beyond. Established in 1972, in honor of Enid and Walter Heideman. Awarded annually to an undergraduate who has helped others in the Wesleyan community, in the tradition of the Heidemans. Awarded annually to that student who, in the estimation of the theater faculty, has contributed most to theater at Wesleyan over the course of his or her undergraduate career. Established in memory of Jules D. Holzberg, professor of psychology, by gifts of his colleagues and friends. Awarded to a senior who intends to pursue graduate study in clinical or community psychology in recognition of the commitment to research and applied work on the resolution of social problems on the individual and collective level that is consistent with Professor Holzberg’s lifelong professional interests and humanitarian concerns. Established by the Department of English in honor of Paul Horgan, professor emeritus and writer-in-residence. Awarded to the student who has written the best short story of the year. Established by the Department of Sociology to honor Herbert H. Hyman, distinguished scholar, pioneer in survey research methodology, and Professor Emeritus in the Department of Sociology. Awarded annually to students, whether sociology majors or not, who in the opinion of the faculty have written outstanding theses on a sociological topic. The gift of Robert Seney Ingraham, Class of 1888, and his wife, for excellence in New Testament Greek or, in years when a course in that subject is not given, for excellence in a course in Greek elective for juniors and seniors. Awarded to two undergraduates each year who are deemed to show the greatest talent and promise for even greater excellence in sculpture, printmaking, architecture, photography, painting, or drawing. The prize is given in memory of Pauline Jessup, a noted interior designer, who practiced her craft for over 60 years throughout the United States. Mrs. Jessup was noted for her unerring eye, her extraordinarily refined taste, and her steadfast commitment to her clients-many of whom she served over three generations. The prize is a gift of Mrs. Jessup’s nephew, D. Ronald Daniel ’52, and his friend, John R. Jakobson ’52. The award is determined by the Department of Art and Art History. The gift of David George Downey, Class of 1884, in memory of Professor John Johnston. Awarded to those freshmen or sophomores whose performance in their first two semesters of physics shows exceptional promise. Established in memory of Priscilla L. Kellam, Class of 1983, by her husband and parents. Awarded annually to a senior woman, under the age of 25, who has majored in East Asian studies and has traveled or plans to travel to China to further her studies. In memory of Barry I. Kiefer to celebrate outstanding graduating Ph.D. students in Biology and Molecular Biology and Biochemistry. Awarded annually to a senior film student who has done outstanding work in the major, and who best reflects the departmental goals of citizenship, scholarship, and the wedding of theory and practice. 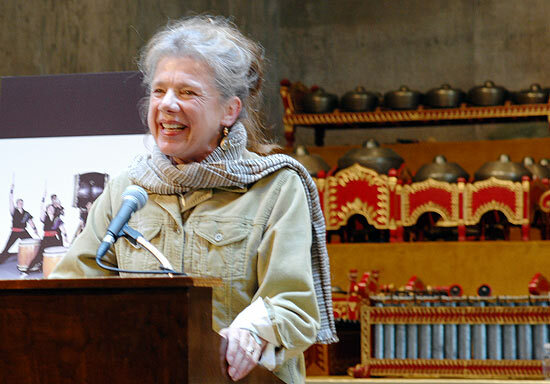 Awarded annually to a senior who has done outstanding work in music, and whose work manifests the ideals of the World Music Program in the Department of Music. Awarded for distinction in Latin American studies. Established in 1992 in memory of Eduardo Levy-Spira, Class of 1982, by his family and friends. The gift of the Reverend and Mrs. Bailey G. Lipsky in memory of their son, Francis Jules Lipsky, Class of 1931, to the member of the choir possessing in the highest degree unfailing kindliness, quiet dignity, and brilliant scholarship. The gift of Franklin Bowers Littell, Class of 1891, for excellence in one or more advanced courses in astronomy. The Henry Luce Foundation selects 18 graduates to spend a year in an Asian country and provides an experience that will broaden the participant’s perspective on his or her chosen career field. Awarded to a student for a Department of Sociology thesis. Established by friends and colleagues of John W. Macy, Class of 1938. Awarded to the junior who most clearly exemplifies, in the decision of the selection committee, the characteristics associated with John Macy: high intellectual ability, a capacity for sustained effort in difficult tasks, strong ethical standards, an ingrained sense of duty, and a commitment to public service as a worthy career. Established in memory of Albert Mann, Class of 1906, devoted alumnus and faculty member, by his daughters and their families. Awarded annually to the seniors showing the most outstanding achievements in the Romance languages. Awarded for excellence in organic synthesis. A memorial award to that senior scholar-athlete who best exemplifies the spirit, accomplishments, and humility of Roger Maynard, Class of 1937, former trustee. Awarded annually to a junior who exemplifies those qualities that characterize the late Richard McLellan, Director of the Career Planning Center and Associate Dean of the College: character, leadership, commitment to public service and diversity, wide cultural interests, and a sense of humor. Established in 1991 in honor of retiring colleague Donald A. Meyer, is awarded for the best Honors thesis in American History. 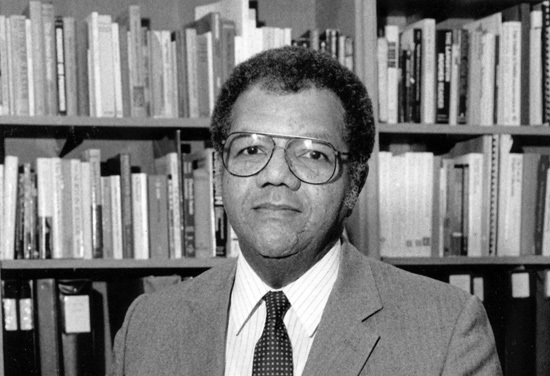 Established in 1985 by the Center for African American Studies in memory of John G. Monroe, director, scholar, and teacher in the Center for African American Studies and in the Department of Theater. This prize is to be awarded annually to the Wesleyan sophomore or junior who, in the opinion of the review committee, submits the best scholarly essay in the field of African American studies. Awarded annually to a Latino student who has promoted the health, visibility, and participation of the Latino community at Wesleyan. The individual should best exemplify personal integrity, leadership, and motivation; a strong interest in and knowledge of his or her background; and have maintained a high level of commitment to Wesleyan’s academic and intellectual enterprise. To be awarded annually to the senior major or majors in CSS and/or the Department of History who best demonstrated the integrity and commitment to community that characterized David’s 37 years of service to his College, his Department, and to the University. This award recognizes the contribution(s) of a person or organization that has brought about cultural awareness and education on one or more of the following issues: race, ethnicity, culture and/or sexual orientation. Established in memory of Geraldine J. Murphy, who was the first woman hired as a full-time instructor at Wesleyan (1957), the first woman promoted to a tenured position, and the first woman promoted to the rank of full professor. The prize is endowed by alumni of the Wesleyan Master of Arts in Teaching program. Awarded to a student who has written an outstanding critical essay that focuses on short fiction or novels. Established by the National Board of Review in memory of Charlie Andrews who was a pioneer in television writing and producing. Awarded to the student who has written the best history/theory thesis in the Film Studies Department. Established by Sophie Needler, in memory of her husband, Bennett Needler. Awarded annually to one or two graduating seniors who have demonstrated excellence in Hebrew or Jewish studies. Awarded for excellence in Women’s Studies. Founded in 1854 by the wife of Stephen Olin, president, 1839-41 and 1842-51. Later increased by gifts of their son, Stephen Henry Olin, Class of 1866 and acting president, 1922-23, and his wife, Emeline. Awarded in recognition of achievement in English. The fellowship supports supervised work in English outside of the Wesleyan course structure. Awarded to the senior theater major who, through his or her work in the Department of Theater, has done a significant service in the community. Established in 1870 by the Reverend John Parker, Trustee 1859-71. Awarded to a sophomore or junior who excels in public speaking. Awarded in successive years for excellence in biology, chemistry, and geology. Established in 1963 by bequest of William Harold Peterson, Class of 1907, for graduate study in biochemistry at Wesleyan. Connecticut teachers serving as fellows of the Project to Increase Mastery of Mathematics and Science have established a fund to honor the creative leadership of Robert A. Rosenbaum and to recognize individuals demonstrating notably imaginative teaching in the schools of Connecticut or possessing the potential for such teaching. Established in 1986 by John Plukas, Class of 1966, this prize is awarded to graduating economics seniors to be applied toward summer expenses, during which period each student will work under the supervision of a faculty adviser to convert an honors project into a publishable article. Established in 1986 by John Plukas, Class of 1966, this prize is awarded for excellent service to the Economics Department as a teaching apprentice. Established in 1993, awarded annually to the outstanding undergraduate student in music composition. Established in 1968 by Leon Reed and his sons, S. Chadwick, Class of 1941, and Dr. Victor Reed, in memory of Mrs. Sophie Reed, for the best poem or group of poems. Awarded for excellence in mathematics to a senior. The gift of Isaac Rich, trustee 1849-72, in memory of his wife, and later supplemented by appropriations from the Board of Trustees. Awarded to those seniors whose orations are judged best in composition and delivery. Awarded for excellence in mathematics to a sophomore. Established in 1969, in memory of George D. Robins 1898, by Frank D. Robins 1934, and Douglas H. Robins 1966, for excellence in history. Awarded to an outstanding junior wishing to pursue a master’s degree in education and teach in public schools. Established in 1979 as a gift of Steven J. Ross of Warner Communications. Awarded annually for the best undergraduate film, digital, and/or virtual made in the Department of Film Studies. Established in 1984 to be awarded annually to an undergraduate whose work represents the kind of catholic curiosity and general learning that Professor Juan Roura-Parella exemplified. Awarded for outstanding reflection and writing on an interdisciplinary topic in the Graduate Liberal Studies Program. Awarded to a member(s) of the Molecular Biology and Biochemistry senior class who has demonstrated excellence and interest in commencing a career in academic or applied medicine. Established by Charles Scott Jr., M.A., Class of 1886, and trustee 1905-22, in memory of John Bell Scott 1881, for excellence in modern languages. Awarded for outstanding work in environmental science. Established by the Class of 1965 in memory of Charles Edward Sehlinger III, who died in 1964. The award of a medical dictionary is given to a premedical student for excellence of character, community spirit, and academic achievement. Awarded to a senior who has consistently demonstrated outstanding leadership throughout his or her four years in the Wesleyan community. Awarded for excellence in computer science to a senior. Established to encourage Wesleyan students to commit their careers to the betterment of society. Awarded to students who have exemplified dedication to public service. Awarded for excellence in Chinese language and excellence in Japanese Language. Established by David Sherman, D.D., Class of 1872. Two prizes awarded annually, one for excellence in first-year mathematics and the other for excellence in classics. Established in memory of Rae M. Shortt. Awarded to a junior for excellence in mathematics. Awarded annually for the most valuable player(s) of the Wesleyan Orchestra. Established by gift of Elisha Adelbert Silverman, Class of 1922, and awarded to a member of the junior or senior class for excellence in chemistry. Established by members of the Class of 1931 in memory of their classmate, Thomas H. Skirm, this prize is awarded to a government major early in his or her senior year, to recognize the best research or writing project done during the junior year. Awarded to the individual or student group that best exemplifies the spirit of social activism and through his/her/their efforts, constructive social change ensued. Established by the family of the late Annie Sonnenblick, Class of 1980, in 1992 as a complement to the annual Annie Sonnenblick Lecture. The prize provides financial support for a student who wishes to undertake an independent writing project during the summer between his or her junior and senior years. The gift of Joseph S. Spinney, trustee 1875-82 and 1888-93, for excellence in Greek. Awarded for the best original essay on some aspect of Greek or Roman civilization. The William A. Spurrier Ethics Award, established by Dr. James Case, given to the student who demonstrates in the field of ethics: sensitivity, insight, depth, and humor. Given in memory of William Spurrier III, chaplain and Hedding Professor of Moral Science and Religion. Established by gift of Elizabeth Moulton Thorndike in memory of her husband, Edward Lee Thorndike, Class of 1895, for excellence in psychology. Established by the family and friends of Dr. Max Tishler, professor of chemistry, emeritus, and University Professor of the Sciences, emeritus. Awarded annually in his memory to the best graduate teaching assistant in chemistry. Established in 1981 by a gift from Mrs. Tishler. Awarded annually for an outstanding senior exhibition in painting, drawing, printmaking, sculpture, photography, or architecture. Established in 1981 by a gift from Mrs. Tishler. Expanded in 1989 for excellence in piano performance. Two prizes are given annually: one for Western classical piano performance and the other for jazz piano performance. The Shu Tokita Memorial Prize, established by friends and relatives of Shu Tokita, Class of 1984, is awarded to students of color studying literature, and in area studies with a focus on literature. The recipient will be selected on the basis of his or her application essay and commitment to the study of literature. The gift of Miss Grace A. Smith, in memory of William James Trench, trustee 1835-67, for excellence in the Department of Religion. Established by black alumni in tribute to the black members of the Class of 1969, whose perseverance and pioneering leadership earned them designation as the Vanguard Class. The prize is awarded annually to a graduating senior who has achieved academic excellence and contributed significantly to maintaining Wesleyan’s racial diversity. Two prizes, the gift of Webster Rogers Walkley, Class of 1860, in memory of David Hart Walkley, Class of 1878, for excellence in psychology. Awarded to those juniors and seniors who present the best reports or work embodying original research. Awarded by the Thomas J. Watson Foundation, to enable college graduates of unusual promise to engage in an initial postgraduate year of independent study and travel abroad. The gift of Mrs. LeRoy Weller, in memory of her husband, LeRoy Weller, Class of 1899, to the student having the highest academic average for the sophomore year. A gift from Norman Mailer to the Wesleyan Writing Program, this award recognizes an outstanding piece of fiction written by a Wesleyan student. Established in 1942 by Horace Glenn White Jr., Class of 1933, and increased in 1943 by friends in his memory. Awarded for advanced undergraduate study in economics. Awarded for excellence in government to a recent graduate who is currently enrolled in, or has been accepted into, a doctoral program in political science. Awarded for excellence in history. Awarded annually for the best thesis submitted in American studies. Established in 1963 by Frazer B. Wilde, L.L.D., Class of 1958, awarded to a junior or senior for excellence in economics. Established in 1938, in memory of Professor Caleb Thomas Winchester, by his widow. Awarded to Wesleyan graduates for postgraduate work in English. The gift of Daniel Wise, D.D., Class of 1859, for excellence in the Department of Philosophy for the best essay on moral science or on some subject in the field or values. Lirra Schiebler ’07, right, speaks on her community research project at “From the Field: First-Hand Reports of Wesleyan Service-Learning Projects” May 12 in the Center for Community Partnerships. Rob Rosenthal, center with blue shirt and tie, is director of the Service-Learning Center. As part of a Service-Learning project, Lirra Schiebler 07 learned that some residents in Middletown’s North End spend about 47 percent of their monthly earnings on heating and electric bills during the winter season. Schiebler presented her group’s study, “Energy Costs in the North End: The Rise in Utilities and its Effect on a Low-Income Community” during a meeting at the Center for Community Partnerships May 12. Schiebler was one of nine students who made presentations at the public event, titled “From the Field: First-Hand Reports of Wesleyan Service-Learning Projects.” Rob Rosenthal, professor of sociology and director of the Service-Learning Center coordinated the event. He is the instructor for the course, Community Research Seminar, in which small teams of students carry out research projects submitted by local groups and agencies. Each student presented 10-minute talks, followed by brief opportunities for questions and answers. Several of the students were part of the course. Jeff Stein 08 presented his study, Defining and mapping conservation priorities in the Maromas area of Middletown, Connecticut. He and his classmates evaluated the unprotected, wildlife-rich, 3,000-acre area known as the Maromas, in terms of its ecological value, and then ranked its parcels in terms of their value to the conservation movement. Advocacy groups can use Steins data to apply for grants, fund further studies, and focus efforts on conserving the areas top priority parcels. The Middletown Public Schools Assistant Superintendent for Curriculum and Instruction approached Stein after the meeting and suggested incorporating the schools science classes with the Maromas. The study was designed to determine whether the national trend of an overrepresentation of students with disabilities getting arrested holds true in Meriden and Middletown. The study involved collecting collecting statistics from the school districts, police, and juvenile court as well as conducted interviews with special education teachers, school resource officers arrested students, and their parents. Bromberg and her co-investigators found that there were a disproportionately large number of students with disabilities getting suspended in both Middletown and Meriden. Twenty-five percent of suspensions in Middletown and 31 percent in Meriden were special education students, while they only made up about 13 percent of the student population in these districts. Schiebler says the service learning course has brought her closer to the Middletown community, and also has taught her the importance of finding solutions to problems on a micro level. Gay Smith, professor of theater, speaks about upcoming art events during the 2006-07 Center for the Arts season in World Music Hall May 9. Pictured below, far right, Nina Felshin, curator of exhibitions and adjunct lecturer in art history, speaks with guests following the CFA’s season announcement. A fusion of Japanese drumming and jazz, clown-theater, Brazilian guitar, creative conversation and West African dance are all in the Center for the Arts (CFA) pallet for the 2006-07 season. 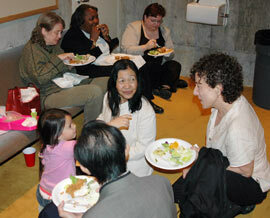 During the CFAs annual Season Announcement May 9, Pam Tatge, CFA director, announced the centers upcoming highlights. We are very proud of what we and Wesleyans faculty, students and staff have created for next year, Tatge says. New this year will be online ticketing, a deepened interest in engaging students, and creating a partnership with Middletowns Luce eatery and the Green Street Arts Center. In addition, the Dean of the College Office will collaborate with the CFA next year to allow first-year students to interact with guest artists. Through the new “Engage and Imagine program, students can exchange views, discuss art and culture with guest artists choreographer Bill T. Jones and playwright Charles L. Mee. This is going to be an amazing initiative and we hope its first of many, Tatge says. The season begins Sept. 8 with Disaster! One Year After, an exhibit on display in the Ezra & Cecile Zilkha Gallery through Oct. 29. Organized on the first anniversary of Hurricane Katrina, Disaster! One Year After includes both historical and contemporary art that addresses the impact of extreme weather conditions. The CFAs Breaking Ground Dance Series will open Sept. 15 and 16 with Another Evening, performed by the Bill T. Jones/Arnie Zane Company. The ever-evolving 90-minute collage, featuring choreographer Bill T. Jones, interweaves new movement, excerpts from existing repertoire, original and traditional music and text into a vibrant multi-media work. Compagnie TchéTché, an all-female dance troupe from Abidjan, Côte dIvoire, will perform Dimi Nov. 17 and 18. In Dimi, the troupe explores the inner conflicts of contemporary African women. The Joe Goode Performance Group will perform Deeply There (stories of a neighborhood) and Stay Together on Feb. 2 and 3. Deeply There is an intimate exploration of the AIDS crisis and the work widely acknowledged to be Goodes masterpiece. The Crowell Concert Series begins with San Jose Taiko on Sept. 28-29. By fusing the ritual drumming traditions of Japan with contemporary jazz, Latin and African rhythms, San Jose Taiko performers express the beauty and harmony of the human spirit through the voice of taiko. Sérgio and Odair Assad, the Assad Brothers perform Brazilian Guitar on Oct. 21. Hear the brothers fine blend of styles, time periods, and cultures ranging from gypsy melodies and American tangos. The FLUX Quartet, featuring the John Spencer Camp Professor of Music Alvin Luciers world premier, performs Nov. 3. Paul Brady, one of Irelands most enduringly popular artists, will perform Feb. 16. Brady continues to push out the boundaries of Irish contemporary music in the new millennium. Eight-time Grammy award winner Eddie Palmieri will perform The Sun of Latin Music on March 3. At Wesleyan, he will play with his ensemble, La Perfecta II. The Outside the Box Theater Series begins with the Pig Iron Theatre Companyperforming Hell Meets Henry Half Way on Sept. 21 and 22. The Philadelphia-based Pig Iron Theatre Company calls itself a danceclowntheater ensemble. A tournament of malcontents erupts in a deluge of florid insults and absurd cruelties. Connecticut resident and OBIE-award winning playwright Charles L. Mee will hold Creative Conversation Feb. 22. His works, including bobrauschenbergamerica, Big Love and the rock-musical True Love, often draw inspiration from the Greek classics. The 30th Annual Navaratri Festival will be held Oct. 5-8. The longstanding tradition at Wesleyan celebrates Indian culture with music, dance, a religious service and the annual feast. Janice Astor, assistant director and interim director of the Green Street Arts Center, says the downtown arts center will expand its age range from 7-to-14-years-old to include older teens. These high-school-aged students will have the ability to record their own videos or CDs. Shes also allowing Wesleyan students to perform their own talents for the centers students. For more information on any CFA event, call 860-685-3355, e-mail boxoffice@wesleyan.edu or visit www.wesleyan.edu/cfa. 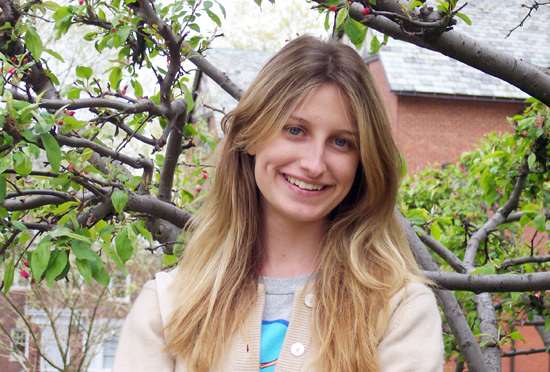 Sophie Pollitt-Cohen 09 is the co-author of the book The Notebook Girls published in April. 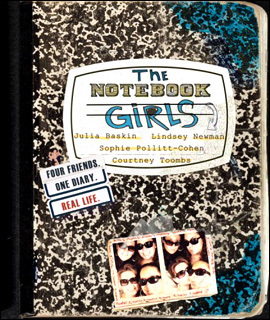 Sophie Pollitt-Cohen 09 is co-author of The Notebook Girls by Warner Books. The book began the journal with her friends, Julia Baskin, Lindsey Newman and Courtney Toombs at Stuyvesant High School in New York City in 2001. The journal provided a way for the high school freshmen to stay in touch despite demanding class schedules, extracurricular activities and busy social lives. Formatted as a reproduction of the girls journal, the book is stocked with hand-written notes on lined-notebook paper, doodles and pasted-to-the-page photographs. Since the books debut April 13, the young authors have been featured in New York Magazine, OK! Magazine, Vanity Fair, the cover of the Daily News, the cover of the Los Angeles Times calendar section, the Boston Herald, as well as on The Today Show, Good Morning America, ABC News Now, Sirius Radio, CNN Inside Showbiz, the WB11 morning news show, and a few other TV shows as well. After attending a digital image workshop, six Wesleyan staff members are seeing picture-perfect. During the April 24 North East Regional Computing Program conference at the College of the Holy Cross in Worcester, Mass., participants had the opportunity to learn about digital image resource development, meeting the image demands of scholars in a changing environment, using digital maps in the classroom, creating and managing institutional digital image collections and visual storytelling among other topics. Schnaidt was joined by Valerie Gillispie, assistant university archivist; Mary Glynn, applications technology specialist; Susanne Javorski, art and reference librarian; Rob Lancefield, manager of museum information services and registrar of collections; and Susan Passman, slide librarian. The attendees also received the results of a six-month digital image study, which examined how digitized images of all sorts are used by faculty at 34 teaching and research institutions. Wesleyan and the National Institute for Technology and Liberal Education (NITLE) spearheaded the study. Wesleyan spearheaded and sponsored the workshop, which was first sparked with a $15,000 Fund for Innovation grant. NITLE provided significant additional funding which allowed the program to expand the number of participating schools from 10 to 33. The conferences principal speaker was David Green, a consultant hired to conduct the research. His final report will be made available on the Academic Commons site on June 2. 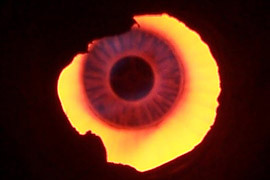 The link is http://www.academiccommons.org/group/image-project. The Wesleyan participants attended the conference for different reasons, but all hope to implement some of their new-gained knowledge at Wesleyan. Lancefield attended the conference to hear the studys results, and learn from the diverse perspectives on various image-related topics. Gillispie says she gained some new insights into how faculty members are using visual resources in their teaching, and how other schools are managing personal and institutional collections of digital images. These ideas will be put to the test in Wesleyans Special Collections and Archives. There, more than 40,000 photographs of Wesleyan University and Middletown, and rare illustrations, are available and could be digitized for academic use. Ruby-Beth Buitekant 09 and Rebecca Chavez 08 read from the Torah for the first time as part of their Adult B’nei Mitzvah ceremony April 29. Nowadays, however, not everyone follows these traditions and some Jewish children go on to adolescence without going through the ceremony. But for Wesleyan students Ruby-Beth Buitekant, 09 and Rebecca Chavez 08, now is better than never. 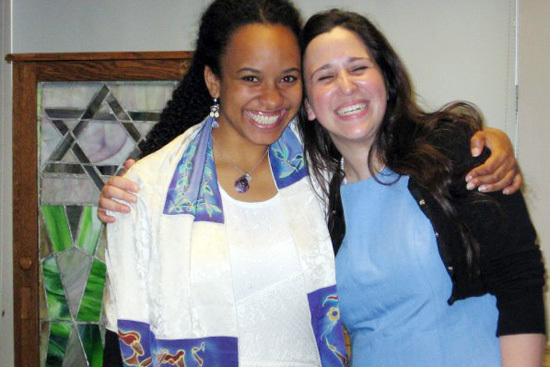 On April 28-29, Buitekant and Chavez shared a Bnei Mitzvah through Wesleyans Adult Bnai Mitzvah Project. They attended a Shabbat dinner and celebrated at a campus-wide party in their honor. They were lifted in chairs and honored. Most importantly, the students had the opportunity to lead a morning Torah service in front of their friends, family and Jewish community, which involves reciting their D’var Torah. This service links segments of the Torah to their personal journey of exploring their Jewish identity. 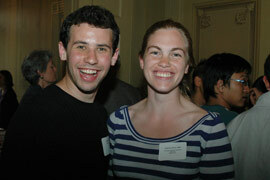 The student-run Adult Bnei Mitzvah Project was created three years ago by Daniel Heller 06 and Ari Fagen ’07. 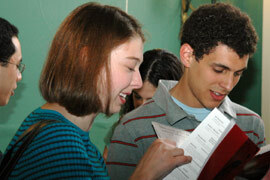 The students who elect to have a Bnai/Bnei Mitzvah ceremony as an adult spend the year studying Judaism and Hebrew. They also design a Tikun Olam or Healing the World community service project. Each week, a different student, professor, or Rabbi from Wesleyan or the greater Middletown community comes to lead a class about a topic in Judaism. This year the 14 speakers including Henry Goldschmidt, assistant professor of religion, who taught a class on chosenness in Judaism; Rabbi Seth Reimer from Adath, Israel, who led a text study on the laws of purity; and Wesleyan Rabbi David Leipziger Teva, who led a class on lifecycles in Judaism. In addition to class work, Buitekant and Chavez were matched up with a Hebrew student tutor, and they learned how to chant from the Torah. Chavez, who joined the project to educate herself about Judiasm, says she now has an incredible sense of ownership of her Jewish identity. She was not raised in a Jewish community. The Adult Bnei Mitvah Project culminated April 28-29 with activities devoted to the Bnei Mitzvah ceremony/service and celebration. Buitekants mother, Beth-Ann Buitekant, traveled from Atlanta, Georgia to attend the ceremony. Wesleyan President Doug Bennet will conclude his presidency at the end of the 2006-07 academic year, he informed faculty, students and staff on May 4. Bennet, who became president in April 1995, led Wesleyan’s historic $281 million capital campaign, expanded the size of the faculty, launched an ambitious campus building program, and shaped the universitys first comprehensive strategic plan. Bennet praised the ongoing work of Wesleyan’s faculty in envisioning and implementing a liberal arts and sciences curriculum intended to engage students with the world around them and to enable them to become leaders. He also cited the strategic planning processes that have mobilized the campus and alumni communities around clear institutional priorities. We will continue helping Wesleyan in any way we can, she said. James van B. Dresser ’63, chair of Wesleyan’s Board of Trustees, was on hand to thank and congratulate the Bennets. Dresser assured those assembled he would consult the Board of Trustees immediately about plans for a presidential search. “I promise that we will keep the campus community fully informed about this process, and that we will keep students, faculty and staff meaningfully involved,” he said. April 7, 1995, and began his tenure on July 1, 1995. He was U.S. assistant secretary of state for international organization affairs when tapped by Wesleyan, though he was best known for his decade (1983-93) as chief executive officer and president of National Public Radio. 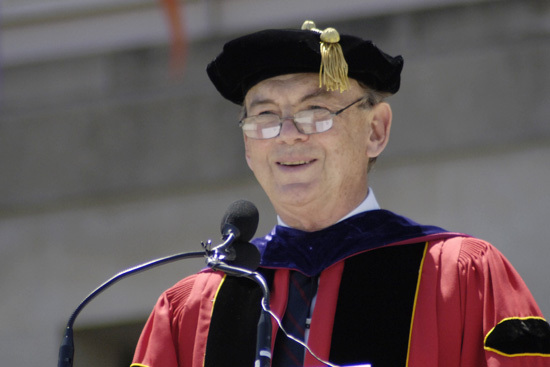 Once installed as Wesleyan’s president, Bennet led the university community through its first-ever strategic planning process, a comprehensive effort that included faculty, staff and students, alumni and parent leaders. This process yielded a vision for liberal education in times of rapid change. “Wesleyan Education for the Twenty-First Century” (1997) sought to define the essential capabilities of an educated person and established the principles on which to make ongoing curricular choices. It affirmed the value of scholarship and teaching in a residential community and confirmed that knowing how to learn is the most durable legacy of a Wesleyan education. 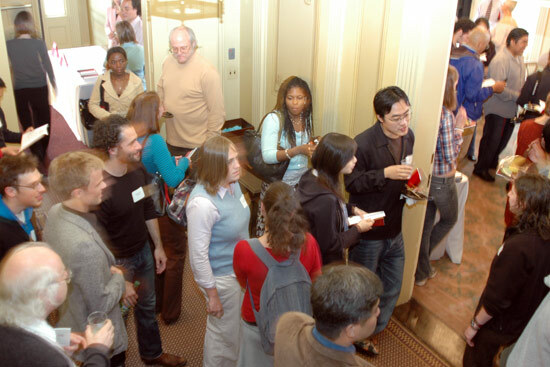 The process also produced “Strategy for Wesleyan” (1998), which defined key institutional priorities: an enduring commitment to need-blind admission and thus to building the University’s student aid program; an expansion of the faculty in order to improve teaching ratios and expand scholarship and teaching in new, interdisciplinary areas; and the beginning of a program of campus renewal. To view Bennet’s accomplishments, including his efforts with strategic planning, student aid, faculty additions, campus renewal, fund-raising, endowment management, technology and athletics, visit http://www.wesleyan.edu/administration/president/accomplishments.html. These priorities became the foundation for the $281 million Wesleyan Campaign, by far the most successful fund-raising effort in the university’s history. The campaign garnered contributions from 68 percent of Wesleyan’s alumni. Total gifts in a single year tripled, from $10.4 million in 1995 to $31.3 million in 2005. 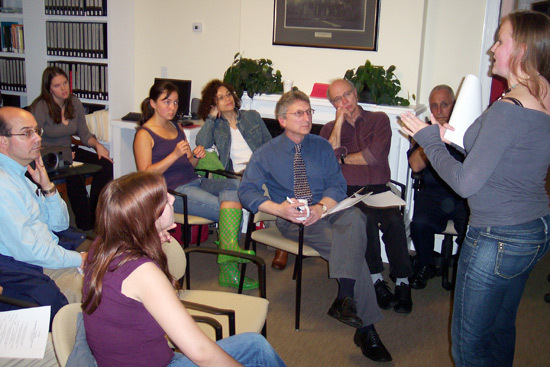 As the campaign concluded in 2004, Bennet led a second strategic planning exercise. The second strategy, “Engaged with the World” (2005), describes priorities for the period 2005-2010, including continuing curricular innovations and renewed commitments to international studies and to science. It outlines priorities for academics, campus life, student aid, and physical infrastructure. Bennet’s emphasis on planning and on strict allocation of budget resources according to the priorities thus established has enabled Wesleyan to devote the highest proportion of its total spending to teaching and research and the lowest to administration among the top 50 schools in the annual rankings produced by U.S. News and World Report. It has enabled Wesleyan to compete for students and faculty against much better-endowed institutions. It also has enabled the University to maximize the impact of fund-raising and borrowing to invest in strategic priorities, while almost doubling the market value of its endowment during his presidency. The Bennet presidency also represented a new era of collaboration with the city of Middletown. Under Bennet’s leadership, Wesleyan participated actively in the city’s development efforts, including investing University funds to bring to the city a downtown hotel, the 100-bed Inn at Middletown, which opened in 2003. Wesleyan established the Green Street Arts Center, a community arts center in the city’s North End, offering classes and workshops for children and adults in music, visual arts, dance, theater, literary and media arts. The center, a collaboration with the city of Middletown and the North End Action Team, is an important part of efforts to revitalize the city’s North End. 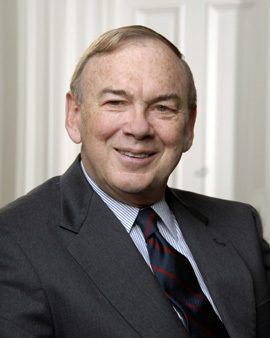 In January 2006, the Andrew W. Mellon Foundation made a grant of $200,000 to Wesleyan in honor of Doug Bennet’s service to the university over the past 10 years. The grant created an endowment that will support an annual lecture and program focused on ethics, politics and society. Wesleyan’s new turf field, located behind Physical Plant on Long Lane, was dedicated April 29 during a ribbon cutting ceremony. It is expected to be available for use later this month. 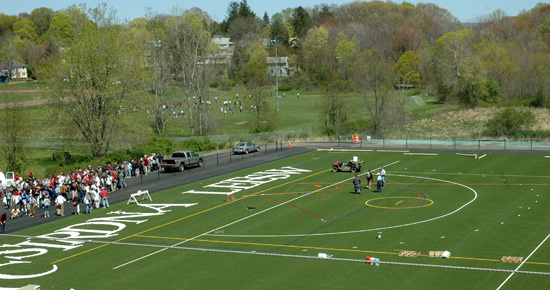 Wesleyan athletes will be breaking new ground this month on their new synthetic turf field. The field, dedicated April 29 during a ribbon cutting ceremony, will be put to use in May. Mens and womens soccer, lacrosse and field hockey teams will use the outdoor field regularly, and it will be available for several other activities, as well. John Biddiscombe, director of athletics and chair of physical education, said Wesleyan is among the last universities in the New England Small College Athletic Conference (NESCAC) to possess a turf field. The artificial field, composed of Polytan Megagrass 2025, is located behind the Physical Plant building on Long Lane. Underneath the synthetic grass is a rubber padding, gravel and drainage pipes to keep the field puddle-free in the event of wet weather. Mens Head Lacrosse Coach John Raba said the field will be ideal for on- and off-season practices. In addition, the turf will serve as a drawing card for recruiting top student-athletes. Baseball and softball teams will also use the field for pre-season practice in late February when Bacon Field House becomes overcrowded. The field will be available for selected club sports, intramural play, sport camps and selected use by the local community. 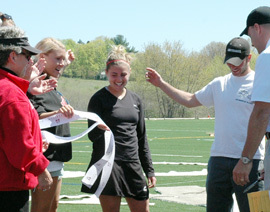 Wesleyans Office of University Relations and Athletics personnel worked with parents and alumni to raise the $920,000 needed to build the field. More than 160 alumni, parents and friends of the university were actively involved in helping to raise the funding for the field, including Bill Belichick, 75, P07, Moira Byer P’06, David Campbell ’75, P 10, Michael and Marilyn Dee P’06, Mike McKenna 73, Jim Walsh P’07, Cole and Katherine Werble P’07 and Preston Smith ’64, P’06. Preston Smith, whos son, Matt, is a varsity lacrosse player, reminded the ribbon-cutting ceremony audience that it took the fund-raising effort of five teams, with support form five decades of alumni, to provide the two-acre turf field. This field is not only the best in the division, but the best in New England, Smith said to the crowd. Wesleyan hopes to raise another $400,000 to pay for lights, bleachers, a scoreboard, protective netting and a paved walkway between the Freeman Gymnasium and the turf field. Professor of Chemistry Joseph Bruno will become Wesleyan’s vice president for Academic Affairs, effective July 1. Bruno has served as dean of the Natural Sciences and Mathematics since 2003. Bruno will serve as chief academic officer for the university, responsible for attracting and retaining faculty and for supporting their research and teaching activities. In February, after Vice President for Academic Affairs Judith Brown announced her intention to step down, Wesleyan President Doug Bennet began extensive consultations with faculty on the characteristics to seek in her successor, as well as nominations. Bennet decided to seek a Wesleyan faculty member to fill the post. As dean of the natural sciences and mathematics, Bruno supports the research and teaching efforts of faculty in 10 departments and programs. He participates in budgeting for faculty positions, as well as in recruiting and hiring decisions. He reviews grant proposals and works with the chairs of the academic departments on curricular and administrative issues. Bruno also is responsible for developing plans for the construction and renovation of science facilities. Bruno has served as vice chair of and science representative to the Advisory Committee, which advises the president on matters relating to appointments and promotions of the faculty. He also served as chair of the Department of Chemistry and president of the Wesleyan chapter of Phi Beta Kappa. Bruno’s teaching and research activities have garnered grants from the National Science Foundation, the American Chemical Society, the State of Connecticut, and the Camille and Henry Dreyfus Foundation, among other sources. 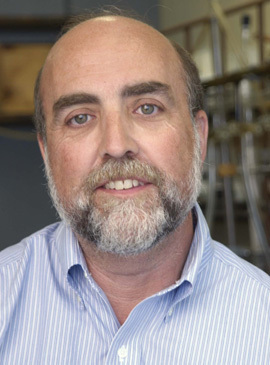 After earning his Ph.D in organometallic chemistry from Northwestern University, Bruno spent two postdoctoral years at Indiana University before joining the Wesleyan faculty in 1984. He received tenure in 1991.